Didn’t we tell you to be responsible? We give you free giant rocket launchers and look what happened! How could you betray the honor system like this? Late last month, Epic Games added guided missile launchers to the random drops in Fortnite. They granted the ability to annihilate a target, be it structural or flesh, from any distance — the tradeoff being you couldn’t control your character while controlling the missile, so you had to hope no one found you mid-trajectory. The missiles went live alongside the Version 3.4 update on March 29….and things quickly went south. Players found the weapon to be massively overpowered and an unfair advantage, so Epic rushed out a 3.5 update that nerfed the weapon. Instead the update introduced a glitch that caused the missile launcher to not work at all. A rep from Epic addressed the problem in a Reddit post. “We’ve gotten a lot of feedback around the Guided Missile, in particular concerns over fairness and strength of the weapon. 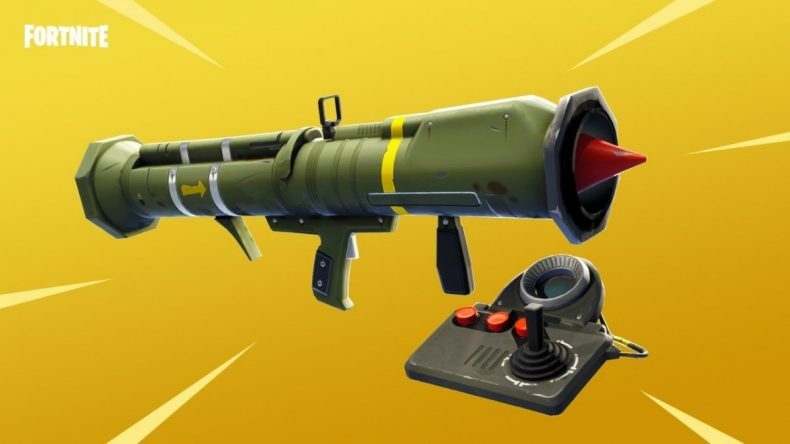 We share your concerns, so we’ve put the Guided Missile into the vault while we figure out the next steps for its future.” So, as of April 17, it’s gone, and it may not come back.